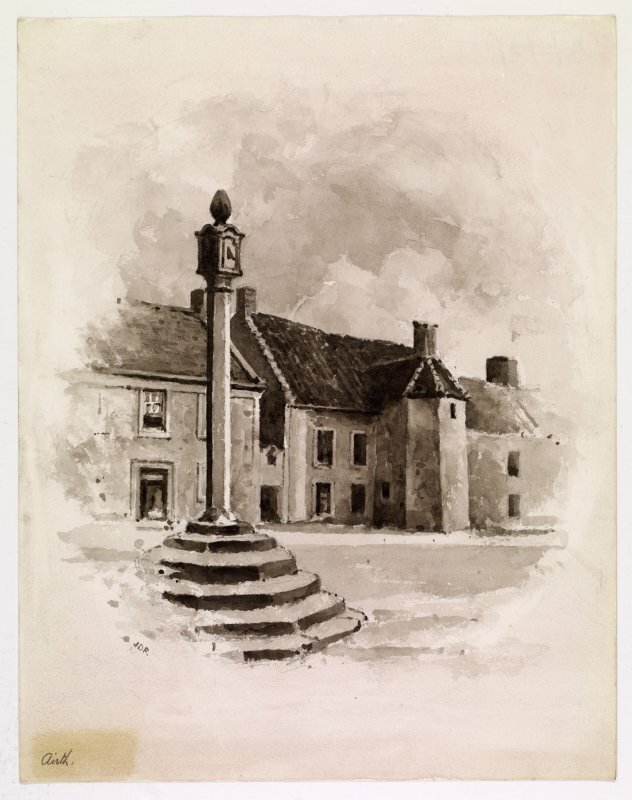 General view of Turnpike House, Elphinstone Inn and Mercat Cross from W.
Digital copy of view of Miss Gourlay's House, McLeans property and Mercat Cross from SW. 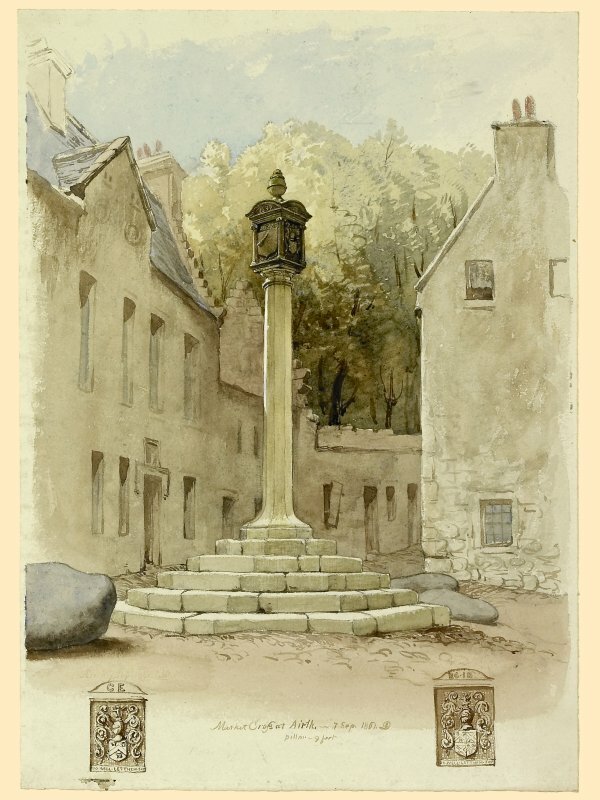 Drawing of the view from the SE of the Market Cross at Airth. 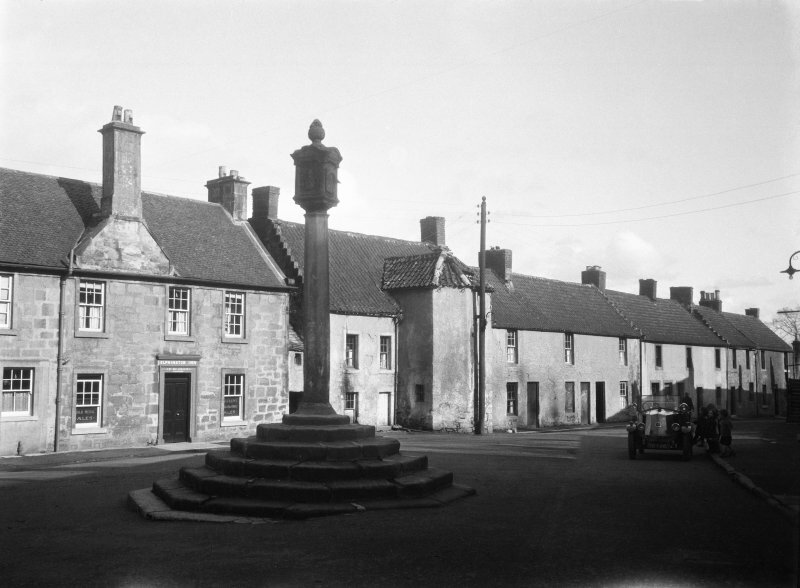 View of Mercat Cross with MacLean's Buildings behind from SW.
Digital copy of view of Mercat Cross with MacLean's Buildings behind from SW.
General view of Turnpike House, Callander's buildings, Mercat Cross from NW. 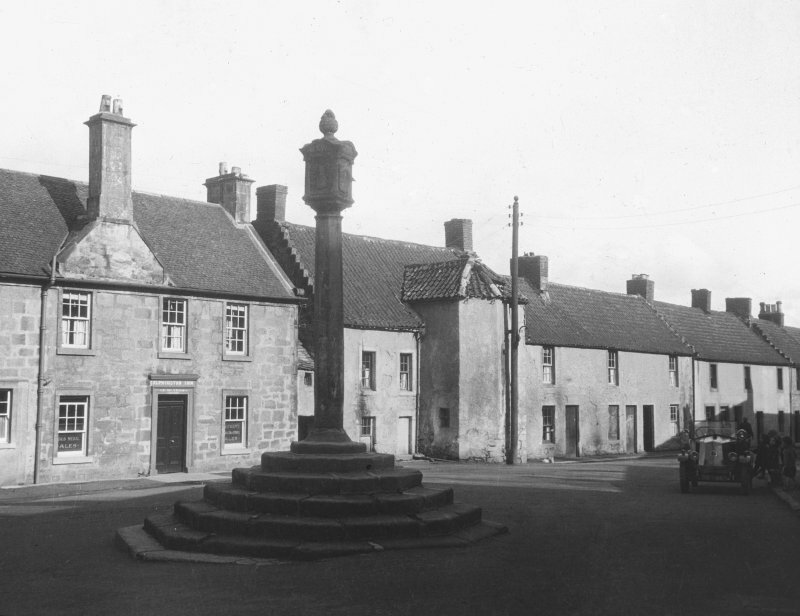 View of the market cross with sundial at Airth. 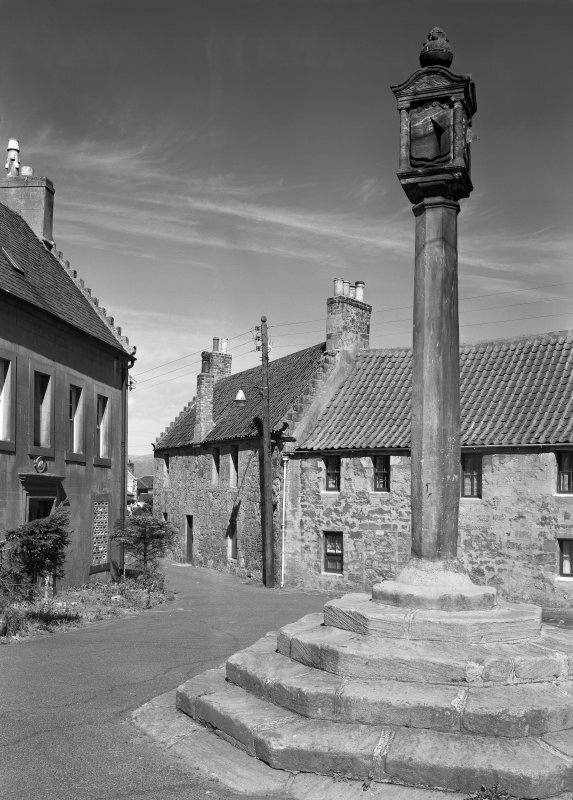 The Mercat Cross stands at the NW end of Airth High Street. 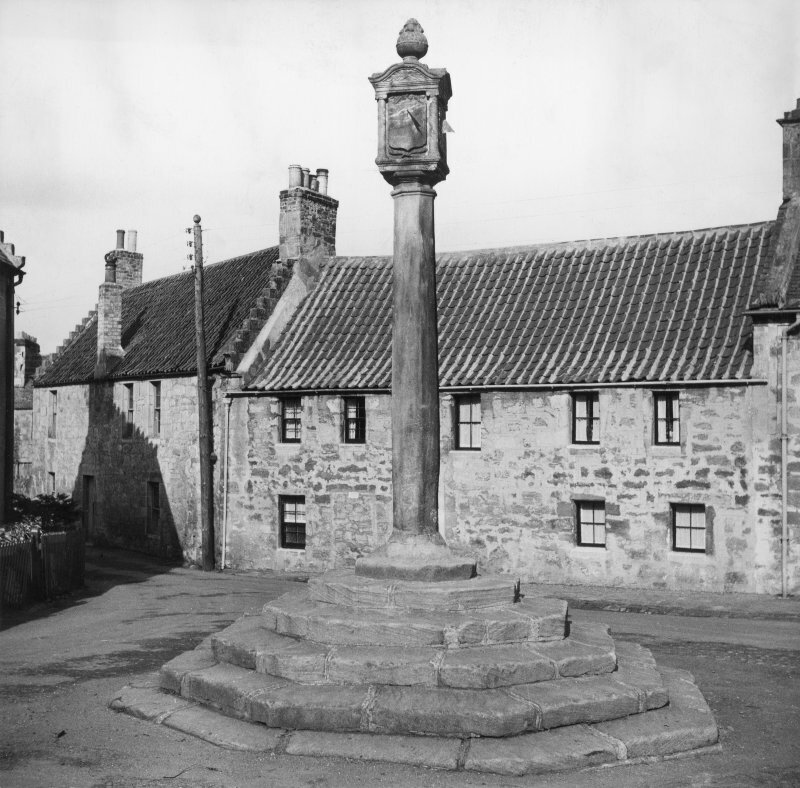 It consists of a stepped octagonal pedestal, an octagonal shaft with a splayed base, and a square head with a finial apparently representing an acorn. Its total height is 7'2". 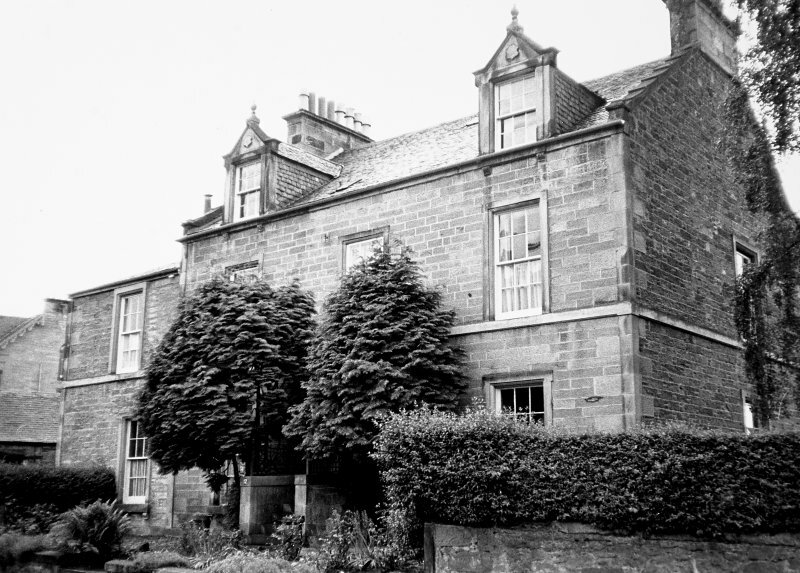 The SW and SE faces of the head ber shield-shaped sundials, the latter bearing the date 1697, and there are heraldic devices on the NE and NW faces, the latter also having the initials CE on the pediment. 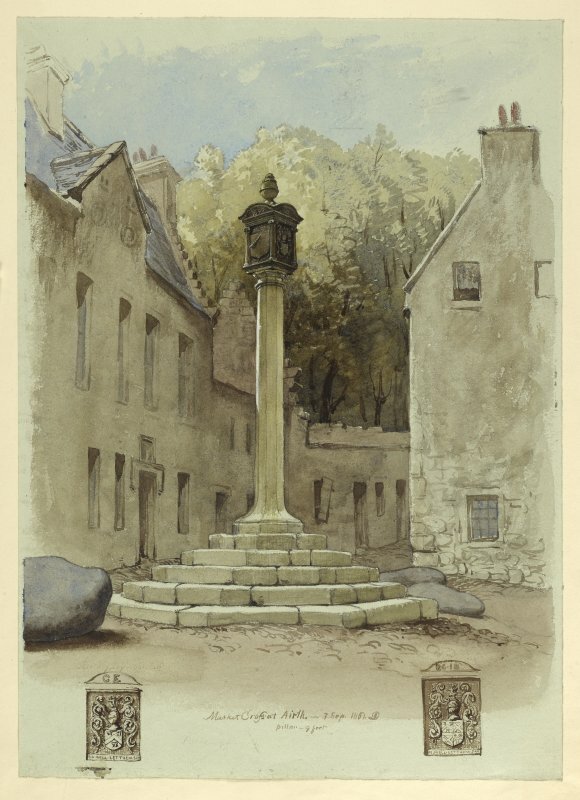 They stand for Charles, 9th Lord Elphinstone, who set up the cross.